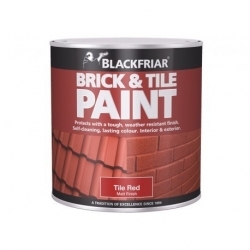 Blackfriar Brick & Tile Paint is one of the UK’s best loved roof tile paints. Get that classic roof tile look! Blackfriar Brick & Tile Paint is one of the UK’s best loved roof tile paints, providing a tough, self-cleaning and weather-resistant finish that will restore old and weathered pitched roof tiles to their former glory. 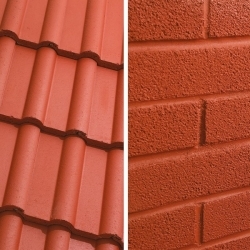 Of course, the most common and popular roof tile colour is red, and Blackfriar’s Tile Red (a perfect colour name!) 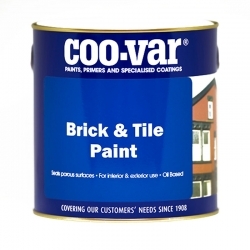 is available in a matt finish which can also be used on brick and masonry, both externally and internally. Internally exposed brick walls are a common feature in cafes and restaurants across the UK, and reinvigorating them with this paint before launch (or re-launch) day will have the critics praising the décor and attention to rustic charm aesthetics. For outhouses, sheds, and workshops, using this brick paint from Blackfriar can turn a tired looked wall into a striking backdrop for product placement photography for social media channels – Pinterest and Instagram for example. Take your home-business to the next level with a striking, rootsy and filter-free ‘blank canvas’ brick wall for online product promotion. 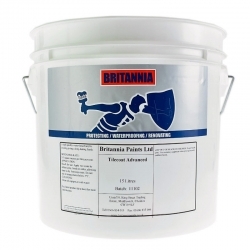 Blackfriar’s Brick and Tile Paint is solvent-based, allowing users to add/restore colour to faded brickwork and tiles. Prior to application, ensure all surface areas to be coated are clean, dry, sound and free from contamination. 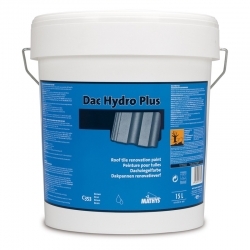 Treat any mould growth and allow to dry completely before applying Blackfriar Brick and Tile Paint. Stir the product thoroughly prior to use. 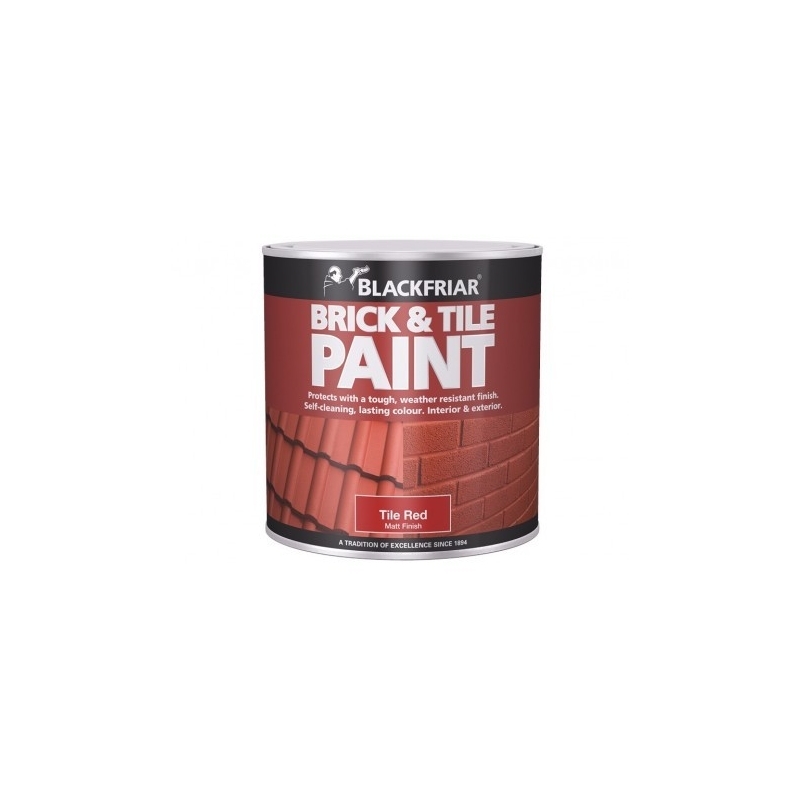 This brick and tile paint may be applied by brush, roller or spray – and for best results, Blackfriar recommend applying by brush, then working the paint into the tile or brick profile. Application of two coats of red tile and brick paint will provide the best protection for tiled roof and brick walls. This product is not suitable for use on quarry tiles. Blackfriar also recommend using their specialist anti-slip step paint, rather than its brick and tile paint for steps. Do not use under cold (less than 5°C), damp or humid conditions. Spreading rate of the first coat may be reduced on porous surfaces. 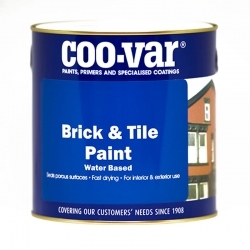 Up to 14m² per litre per coat. Each coating will be touch dry in 2 - 4 hours and re-coatable after 16 hours and within 3 days. Drying times are based on an ambient temperature of 20°C and 50% relative humidity. Lower temperatures or higher humidity will prolong the drying and overcoating times. Remove as much product as possible from application equipment before washing with white spirit. Do not empty into drains or water courses. Some local authorities have special facilities for the disposal of waste coatings. Store in a dry, safe place. Do not store in environments where extreme temperatures may occur. Keep within 5-30°C. Do not store in direct sunlight. The below advice is followed at your own risk, we can’t guarantee the paint can be removed. If the paint hasn’t fully dried then white spirit will soften it however it can spread the paint stain so just apply sparingly and dab it with a cloth, don’t soak the garment. Do a small test area with white spirit on the garment first to make sure there is no effect on the fabric. Once you have removed the paint then dry cleaning may be advisable. If the paint is already dry then ask a dry cleaner for advice. There are no readily available solvents that could be used. You could try to remove the unwanted paint with something like Thermoguard Thermostrip PRO or simply recoat the area with more roof paint in the colour of your choice if this provides an easier and satisfactory appearance for you. Question: How do you remove Acrylic Roof Paint from, Brick, UPVC, Plastic and glass? You can use our 1401 Graffiti Remover but it is important to test on the surface first to establish the correct dwell time to ensure the substrate is not affected.